We often get asked about our service so let me give you some details in case you are not already familiar with us. AwesomeBookPromotion consist of 5 websites. They were all built at different times and the email list are all different and run separately. Over the years I have had many authors ask me if they could submit to one site and have me copy the information to the other sites. Needless to say this was a lot of work. 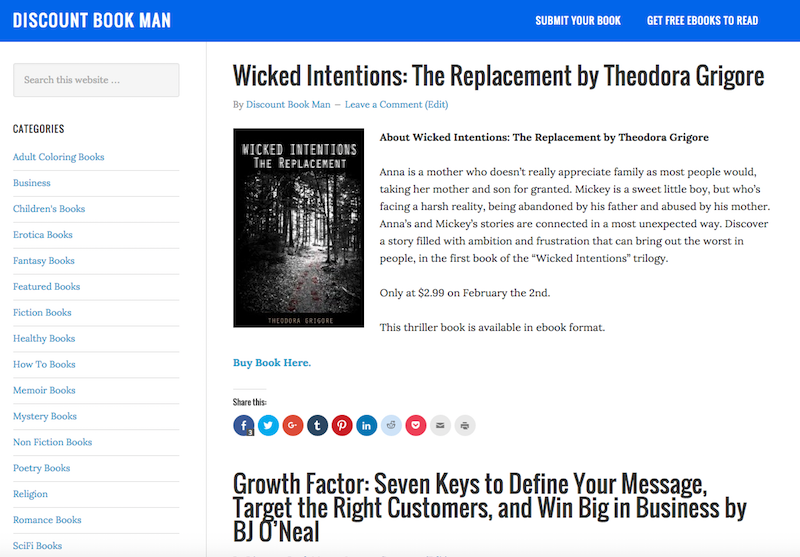 Now using this site you can submit your book information once and have your starting date for your promotion all start on the same day or stack the promo to start over different days. Our main website that was started because most of the book promotion websites I tried submitting my first book to either turned me down because my book didn’t have reviews yet. In all fairness I also had a lousy cover but you know you have to start somewhere. Our featured service on the site is only $10 which makes it affordable to new authors. The promo here gets you 2 days on the homepage. (I usually leave it for 3 days) Your book also goes out to our social media and our email list. Pretty-hot was started after I started to get a lot of romance and erotica books being submitted to Awesomegang. The original plan was to only take erotica and romance books on the site but I opened it up to all books after our first year since authors were asking to submit the books they had written that were not in that niche. Besides being heavy with erotica and romance traffic it also has a big paranormal romance and fantasy readership. As part of the promotion your book will be on the homepage for 7 days and also go out to our social media and email list. The normal promo cost $25. Book Reader Magazine was started as a labor of love once I had the 2 other sites running well. I wanted a site that focused on authors and doing author interviews. Readers come to the site to discover new authors that take the time with us and fill out an interview. 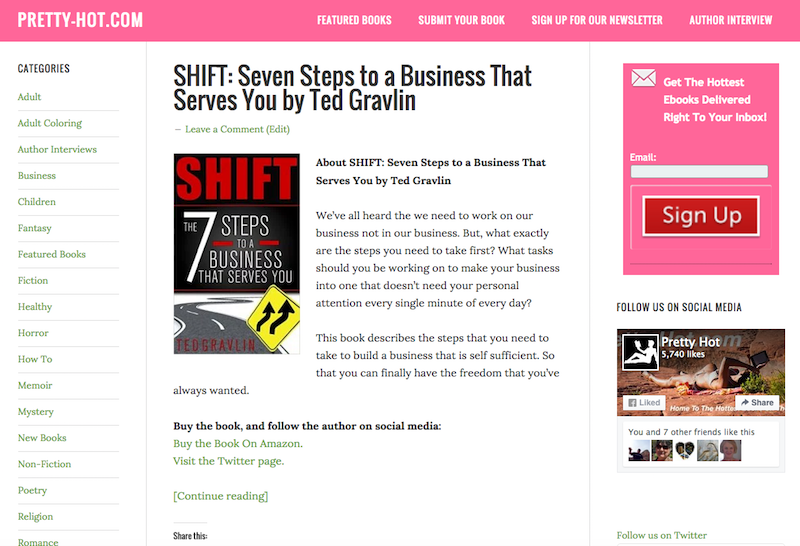 The website does take featured book submissions and they stay on the homepage for 7 days and also go out in our newsletter and social media. Our readers are diverse and not really looking for books that are on discount. They just want quality books. This feature normally cost $20. Discount Book Man was started because authors were asking me if I had a site that featured books that were $2.99 or less. Needless to say this site has become a destination of readers that are looking to save money on books. Most of the books that are submitted here are free or on sale for 99 cents. Our readers are expecting books on discount and the email has been wildly successful. Some readers save the emails and open them 3 or 4 times. The featured ad cost $15 to be on the homepage for 7 days. The book will also go out to our social media and email list. 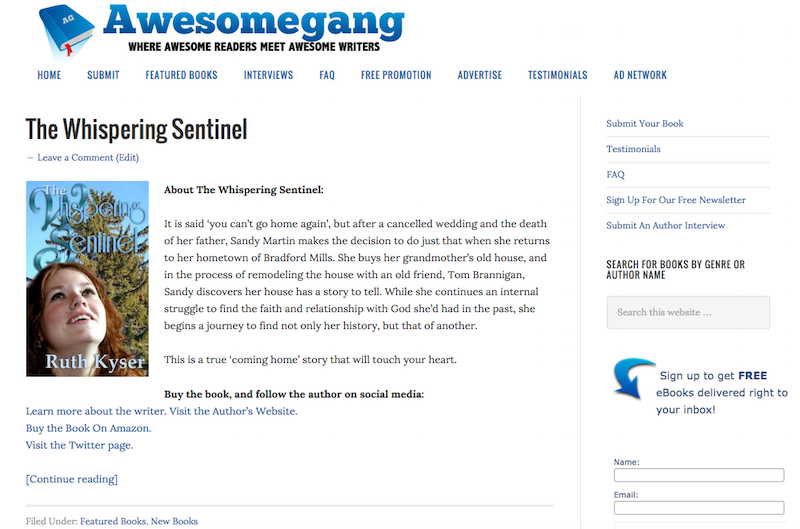 Awesome Book Promotion is our new site. It was built at first just as a placeholder site. 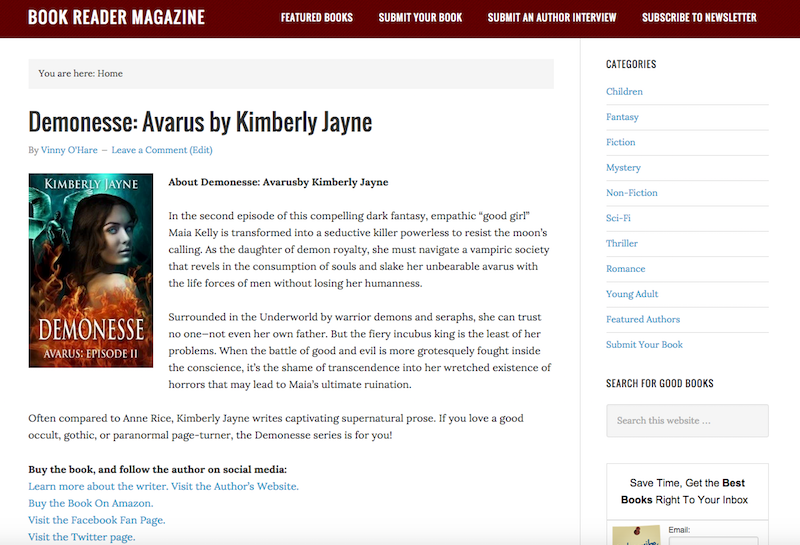 With so many sites authors started asking me about stacking book promotions. Authors also didn’t want to fill out a form on each one of the sites and they wanted it to be easier to advertise across all our sites. Using the site you can also select different days you want the promo to start. After the first submissions started coming through the authors asked me why the books were not on this site also. The site now lists all the books submitted in categories. 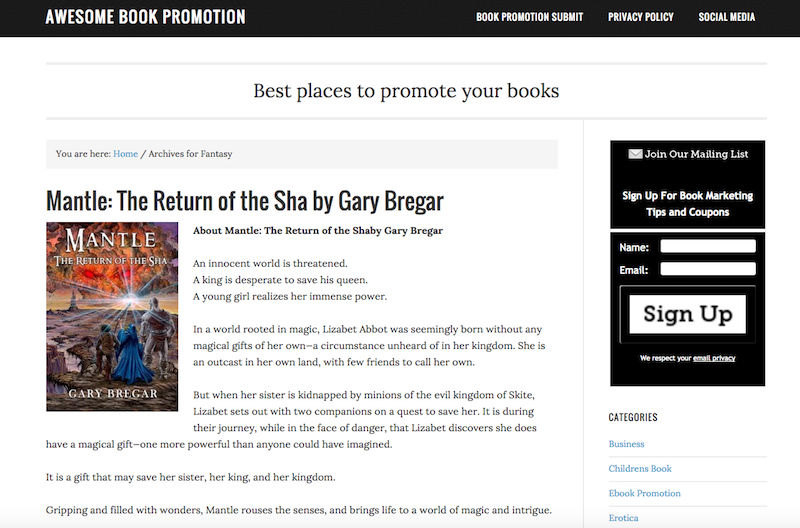 While the site is aimed at authors the book promo also goes on our site and gets spread across our social media and gets placed in our once a week email.